In addition to compiling my top ten kitchen must-have list, I’ve decided to share a list of my favorite appliances that I use frequently and are essentials in my kitchen. I definitely don’t think it’s necessary to own every appliance and gadget out there, but these five appliances will save you time in the kitchen and are worth the investment. My husband and I enjoy good quality coffee. Although it’s tempting to get a latte to-go every morning from the coffee shop across the street, we choose to make coffee at home. That’s why we’ve invested some time and money into making sure we have the right equipment to make coffee that rivals the quality of the coffee shop. 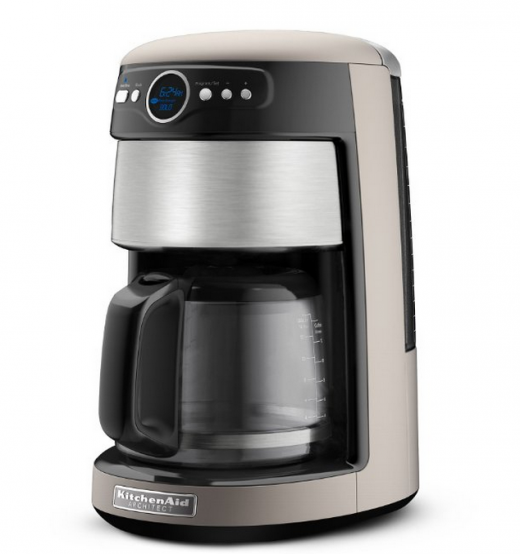 Before I share which appliances we use, let me first tell you about our bad experience with our first coffee maker. Three years ago, we owned the Cuisinart Grind and Brew. We really enjoyed it for the first few months. We loved the built-in grinder that allowed us to grind whole beans right before brewing. We also enjoyed the thermos carafe and liked that the coffee maker didn’t rely on a heated plate to keep the coffee warm. (I’ve found that heated plates can sometimes give the coffee a bitter, burned taste). Our enjoyment was short-lived; we quickly realized this coffee maker was not a good machine. Cleaning the grinder should not have been a daily effort but it was. Moisture would enter the grinder during the brewing process and cause residual coffee grounds to adhere to the device. Although it meant extra work, we didn’t consider replacing the machine until the coffee maker started brewing half of a pot of coffee and leaking the rest of the water onto the counter. This started happening once every couple of months but then became more frequent and we knew it was time to invest in a new machine. 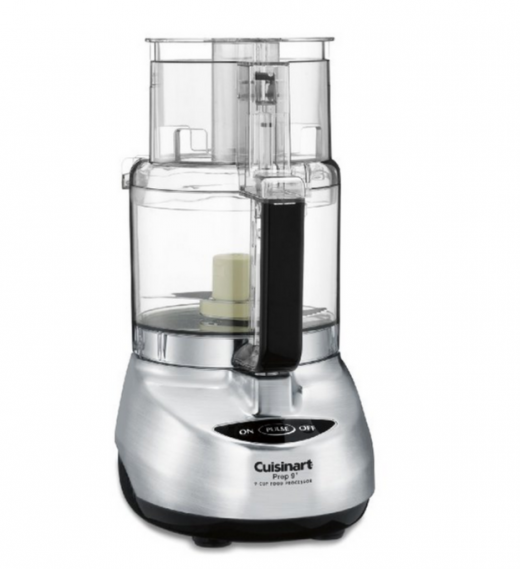 We’ve used a few other appliances by Cuisinart and besides my food processor, they have been poor quality. So which coffee maker do I own and recommend? The KitchenAid Architect series. Our blender and toaster are both from the series and they are two of the most durable appliances we own, so I was optimistic about their coffee maker. The KitchenAid coffee maker does not have a built-in grinder or a thermos carafe like the Cuisinart, but we knew the lack of a grinder was an easy fix. And to be honest, having less intricate components within the machine is probably a good thing anyways! We purchased the KitchenAid coffee maker and started researching coffee grinders. We actually learned a lot about the grinding process of coffee beans and discovered burr grinders. Unlike traditional blade grinders that resemble propellers, burr grinders are made up of two revolving abrasive surfaces called burrs. The coffee beans are ground between the burrs, a few beans at a time, producing very uniform grounds. Consistent coffee grounds reduce bitterness in coffee and overall, produce a better quality cup of coffee. After researching several burr grinders, we purchased the Capresso burr grinder, and we’ve been very happy with it. Paired with the KitchenAid coffee maker, the quality of our coffee brewed at home has improved significantly! The KitchenAid Stand Mixer is one of the most versatile appliances I own and I would recommend it to anyone. 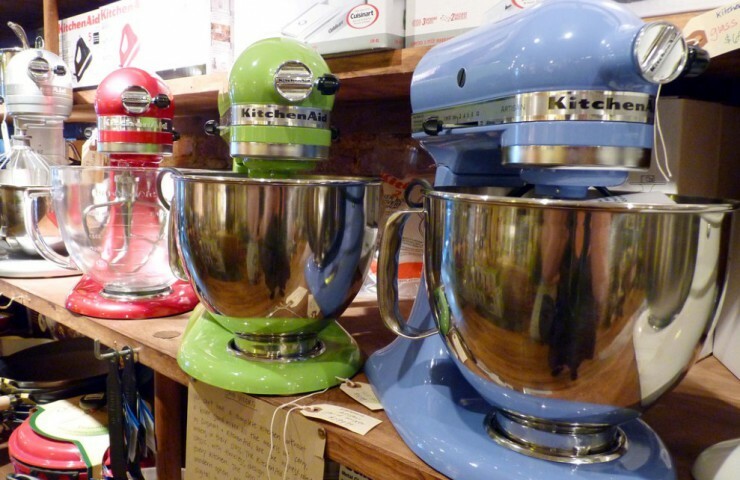 As I have already mentioned, my experience with KitchenAid products has been great and their stand mixers are no different; if you are going to buy a stand mixer, buy a KitchenAid. It is definitely on the pricey side, but this stand mixer is very functional and a great appliance to have on hand. The mixer comes with three basic attachments: a whisk, a paddle, and a dough hook, and all are great at saving you time in the kitchen. The whisk is great for whipping up batters for desserts, beating eggs, and making homemade whipped cream. I love using the paddle attachment for shredding chicken or pork, creaming butter, and mixing heavier ingredients for desserts. I use the paddle attachment, along with the dough hook, every week when I make homemade pizza; homemade dough is incredibly easy and using the dough hook helps it turn out perfectly every time. In addition to its basic features, the KitchenAid mixer becomes even more useful with the addition of other attachments. (You need to purchase these separately, but they’re worth checking out!) My favorite by far is the ice cream maker attachment. I have a slight obsession with ice cream and I love making my own. Instead of pulling out another big appliance, I swap out the mixing bowl for the ice cream maker attachment and attach the mixing blade. It is very easy to use and creates the best homemade ice cream! I also own the citrus juicer attachment which is great for making homemade lemonade or orange juice. Again, it’s easy to use and doesn’t take up much storage space. The next attachment on my list to buy is the pasta attachment; it will definitely come in handy next time I make beet ravioli! 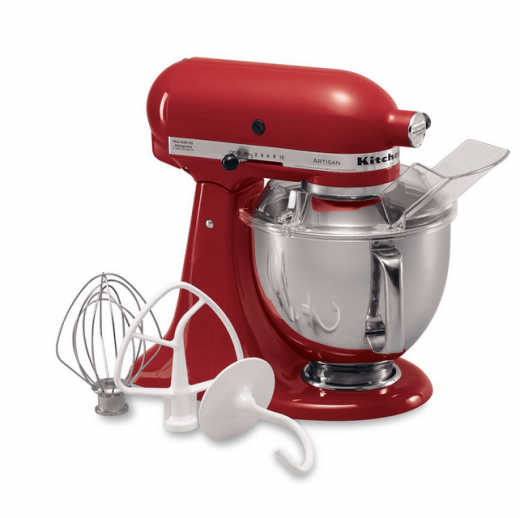 Overall, the KitchenAid mixer is of exceptional quality and is a great multi-purpose appliance to have in your kitchen. When I was in college, I started trying new recipes and cooking more challenging dishes and I quickly realized how I would benefit from owning a food processor. I remember putting one on my Christmas list, before reminding myself I currently had no room for extra appliances and needed to wait until I had my own place. When my husband and I got married, I finally added a food processor to my kitchen, and I’m constantly reminded of how extremely useful it is. My food processor came with several different blades, all able to serve a different purpose. Homemade hummus and pesto are very simple to make using the standard S-shaped blade, along with homemade larabars. The standard S-shaped blade sits at the bottom of the bowl and is typically made of metal. I oftentimes switch from the standard blade to the slicing disc (which sits at the top of the bowl) when I need to chop a lot of vegetables. I feed the vegetables through the top of the machine and as they come in contact with the blade, are sliced and stored in the bowl. I tend to use this attachment when I’m making soup because I can chop the vegetables quickly then dump them from the bowl right into the stock pot. I also enjoy using the shredding disc to shred cheese and vegetables. I stopped buying shredded cheese due to the added cellulose and started buying blocks and shredding my own. Using the shredding disc over a box grater saves a lot of time. However, it works best when the cheese block is firm, so throw it in the freezer for a few minutes before running it through the processor. Once shredded, toss the cheese with a small spoonful of cornstarch so it doesn’t stick together and store in a Ziploc bag in the refrigerator. Food processors are also great for chopping nuts (but beware, it’s pretty noisy at first! ), making graham cracker crusts, and pie dough. And although I don’t have kids yet, I’m very excited about using my food processor to make homemade baby food when the time comes. If you are into making things from scratch or are just looking to save time in the kitchen, invest in a food processor. I admit I was a little skeptical about spending a decent amount of money on a rice cooker. I never really enjoyed cooking rice on the stove, but it wasn’t awful as long as I planned out my meal in advance and cooked the rice the night before. I thought buying an appliance to do one task wasn’t worth the investment. But after talking with some friends and doing some research on rice cookers, I realized they can be used to cook numerous other types of food and make the process much simpler. In addition to rice (brown, white and wild), I use my rice cooker to make quinoa, black beans, porridge, and steel-cut oats. One of the features I love most about my rice cooker is that it’s programmable. I utilize it often and add whatever I’m cooking to the machine in the morning before work or at night before I go to bed (if I’m making oats). My food is ready when the timer goes off and even better, the rice cooker will keep the food warm without burning it if I’m running late! I love coming home from work and having the most tedious and time-consuming part of dinner all ready to go. 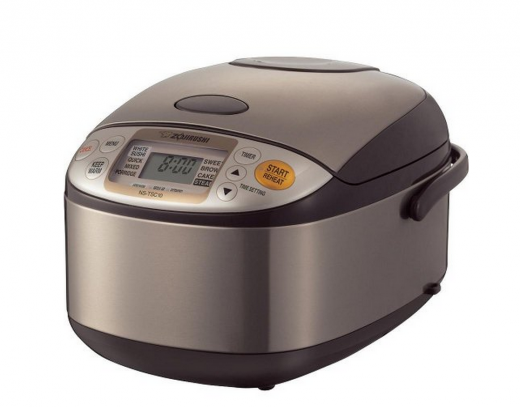 Overall, while a rice cooker is a little spendy, if you enjoy eating rice, grains, lentils, oats, or anything that usually takes a long time to cook over the stove (and never seems to try out perfectly), consider purchasing a rice cooker! I’m very glad I own one. Finally, slow cookers are a must-have in my kitchen; with a little planning and prep work the night before, I can have dinner ready minutes after I walk in the door. 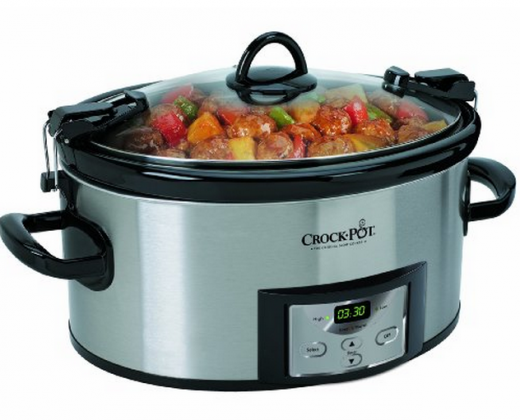 From soups to stews to roasts, the meal possibilities are endless with slow cookers. I recently had ribs made in a slow cooker and they were delicious! I like to have at least two slow cookers on hand. I have a larger one similar to the picture above for roasts and other meats, along with a smaller, narrower slow cooker that I to use for soup and dips. My large crock pot has the lid locking feature and it’s definitely nice to have when you need to transport the slow cooker. Most slow cookers have three settings: high, low and warm. Use the high setting when the cooking time ranges from 2 to 4 hours and use the low setting when the cooking time is 6 to 8 hours. I find the three settings are sufficient most of the time, but there have been a few occasions when my food dries out a bit even when using the low setting. I’m interested in trying out a programmable slow cooker to see if that helps the problem, but I don’t know enough about them to recommend one yet. Regardless of settings and cooking times, slow cookers are extremely handy appliances to have in the kitchen, especially if you’re looking to help decrease the time it takes you to get meals on the table. And the best part: they’re all very affordable! That concludes my list of must-have kitchen appliances. What’s on your list of to-go tools, gadgets, or appliances? Please share below!